Sometimes, maybe even often, I go to preach in a church where I know I’ve been asked to preach because of what God graciously called me to do – empowered me to do – and gave me the faith to do it: and that is to pray for those who are sick – sometimes from a cold or a pain in the neck (I meet a few of those!!) to cancer to incurable to diseases, and occasionally, to pray for the dead to be resurrected. I – and hundreds of others – heard that call from God on my life in the 80s, and many many others have confirmed it since, I know that God gives me faith that I might not have thought I had when I hear some people’s needs (and that over these near four-decades) he has grown his faith in me and I find that I’m rarely, if ever ‘fazed’ by what I hear people asking me to pray for. I want to say – again – here and now that I can’t heal anyone – but I know that I have the faith that God – who gives us what we need only when we need it – WILL do what he promised to do in the Old and New Testaments, and I know that I CAN do what Jesus did, not because I’m good or special (I’m not) but because he called me to do it, and Jesus promised it. That’s an immense blessing to me, that God would call a no-one (that’s actually always been who he’s chosen!) to have the privilege of seeing – and doing – all that I’ve seen and done…but there’s a ‘but’….! For the last few years, since my ‘mobility’ issues have – as yet – stayed ‘unhealed’ by God (I and many, many others believe those issues will be healed – I sometimes think that people must wonder who on earth it is coming to preach and pray for healing for them, walking with a limp and a walking stick… I know, though, that since I’ve had osteoarthritis, that my understanding of pain has changed the way I pray for people – and I have to say that that awful disease that the enemy has stuck in my knees is excruciating! But I’m blessed that – because of understanding that pain – the vast percentage of people who have knee problems get healed! Because we are gifted at something by God, and I’ll use healing as the example, it doesn’t make us ‘immune’ from being ill, or suffering affliction. That’s why I’ve added below a post from Facebook from the amazing Rolland Baker, who with Heidi, sees miracles as a matter of course and daily life. And yet it wasn’t so long ago that Rolland himself nearly died: and Bill Johnson, the wonderful Bible Teacher from Redding, California, was also critically ill not so long ago. Those of us of a slightly more mature age will remember Jennifer Rees-Larcombe, who was suddenly struck down with what was initially thought to be encephalitis, and was wheelchair-bound for many, many years – but still had a ministry of healing and inner healing. And of course, the amazing Joni Eareckson-Tada. We’re not immune. It’s what we do with our suffering, and how we choose to live our lives, with it. I’ve always refused to give in. Last year, you might remember I was unable to walk for 10 months due to something a consultant doctor did in a ‘standard’ check up to see how I was. I was subsequently told by two other doctors that I’d never walk again. I still made it to preach in other churches, often with physical help to get to the front(!! ), and also made it to Colombia, albeit all the way in a wheelchair, and in the wheelchair for everything I did while I was there. I’m not saying this for any other reason than that I know the enemy wants to ‘disable’ us in whatever way he can: we just don’t have to LET him. So sometimes I feel a bit of a ‘fraud’ telling people I want to pray for their healing when I hobble towards them: but God graciously honours his unchangeable promise from 35-40 years ago that he WOULD heal the sick, and – thank God! – he does. And I CHOSE not to believe that prognosis that I wouldn’t walk again. I can walk, thanks to a man of faith and obedience who didn’t know me, coming a long to way to pray for me, when I was still living in Northern Ireland. He brought with him what I think – originally – was a prophetic word from a highly respected prophet in Northern Ireland for him, that turned out to be for me! That word included this sentence: ‘There are obstacles wherever Paul turns’ – and I’d have to say that over the past 40 years, that’s been true – and is still true, even today. It was an incredibly accurate prophetic word from someone who didn’t know me: we didn’t meet until some weeks later, when we were both involved in a men’s conference in Dublin. We are NOT immune from sickness, suffering, death, or obstacles. But God is STILL God – and I believe honours our choices in how we handle the things the enemy throws at us to ‘disable’ us. When I was at Harvest School in 2011, Heidi shared about drinking from the cup of joy and suffering. For those who love Jesus, the two are inseparable. We have to have the joy that is Jesus or else what are we left with? His joy is EVERYTHING. We cannot live without it. However, Jesus calls us to drink deeply from the cup of joy AND suffering. Why suffer we in the West might cry? Jesus suffered so that we don’t have to! Really? I continue to read Lilies Amongst Thorns, the story of persecuted Christians in China. Tonight I read; ‘The brothers and sisters who were with Gui all began to cry out loud. Then another brother came and told Gui, ‘Two of the brothers after prayer have already wakened, but we are afraid there is no hope for the younger brother.’ Gui immediately called them to prepare a hand cart to bring that brother to him. Sobbing, they pulled that brother home. Gui immediately came out, lifted the blanket and looked at him. His face was beyond recognition. His head had swollen like a gourd and he had already stopped breathing. With the others Gui knelt down in the presence of the Lord and wept, ‘Lord, how can we bear this heavy burden? Have mercy on us and cause this brother to rise from the dead.’ After prayer that brother suddenly took a gasp of air. Gui immediately gave thanks to the Lord. The brother began to open his eyes and slowly sat up. Everyone wept as they praised the Lord with a loud voice. The brother opened his mouth to speak, ‘When I was by the riverside and was beaten, I saw a man whose beard and hair was white and who was clothed in white raiment right down to His feet. His face was like that of the sun and light shone from His whole body. He held in His hand a book and with a pen quickly recorded what was happening. Then He said, “Young son, today I have recorded all that you have suffered”.’ Upon hearing that all the people sang, danced and praised the Lord… I still have so much to learn. Jesus you are worthy!!! Today is the day of your miracle….. 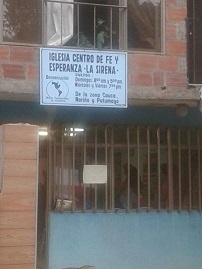 It was 9 years ago, I think, that I first had the privilege of visiting the church, Church of Faith and Hope, in La Sirena, a small mountain community on the edge of Cali up in the Andes. The church had a banner under the church name saying ‘Today is the day of your miracle’ – a truer statement had never been made! 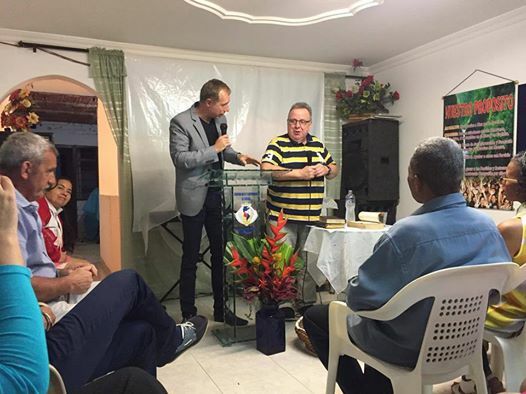 It was an amazing night – the church, pastored by the lovely Alcides and Leidy Valentierra Perea, was packed to the doors, with a large number outside, too – they could hear through the windows, as there’s no glass (too hot!). Dozens were healed there and then, including cancers, TB, diabetes, asthma and much more. Near the end I got to pray for a young man, 21, in a wheelchair, with a few (3 if I remember right) days to live, with AIDS and TB. If I’m honest, I didn’t know what to pray for him – hard to pray for someone o young with so little life while he was alive, and no future beyond the following Wednesday….so all I did was hold him, hug him, and talk quietly to him about how much Jesus loved him, and he made a commitment to Jesus as we hugged (I’m sure I heard my mum whispering from 6000 miles away that I might catch AIDS and TB! – but that wasn’t why I was there, and I’m not in faith to catch what I’m praying for). Behind the reading stand is a little room – so behind Hein and I and this picture – and late into the night, Pastor Alcides asked me to pray for a lady who’d obviously been carried up the mountain laying on a door, and put in the room. I thought she was in a coma or a very deep – maybe medication-induced – sleep. I prayed for her, twice, and nothing seemed to happen. I did learn from China (again!) that it’s not possible for God NOT to answer prayer in whatever way he chooses, but I left the church with her still in a coma…..
Then I asked him about the lady ‘on the door’ in the back room who’d been in a coma. ‘Coma? She wasn’t in a coma. She was dead. 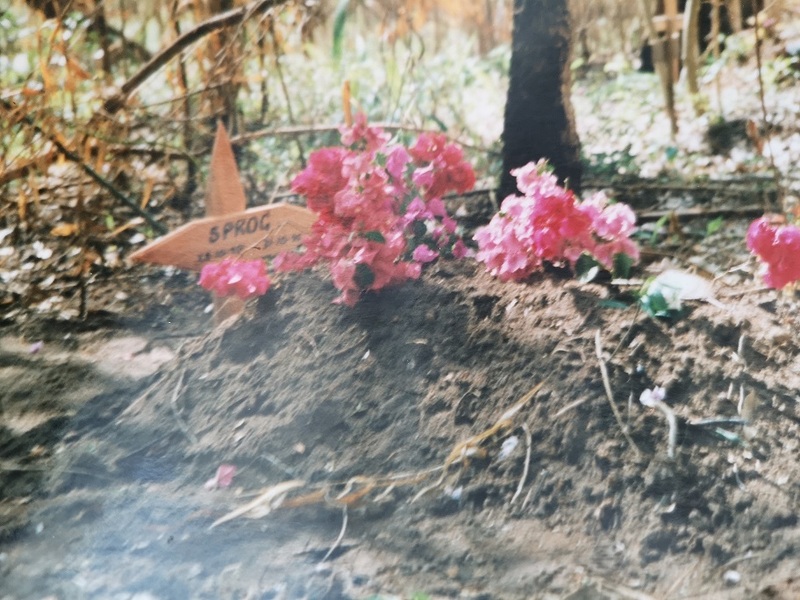 SHE rang me too when she heard you were here, but is staying with her sister in Bogota, and she’s so sorry, as she wanted to thank you, too….’ If I’d cried about the AIDS young man, I wept at the resurrection…. God turned up in power in the meeting that evening, as you can imagine…. ‘If anyone wants to come after Me’ – sounds great but the sacrifice is even greater…. Being a missionary is an incredible privilege, I can speak from personal experience, but you have to be willing to lose your life (I’ve nearly died a number of times) – in every respect from possessions (which in our society possess us, not us possessing them: comfort zones: relationships: family – you name it – it’s cost me everything) to sacrificing your life. Peru is like most Latino countries – wonderful, amazing, and dangerous all at the same time – see the report below. 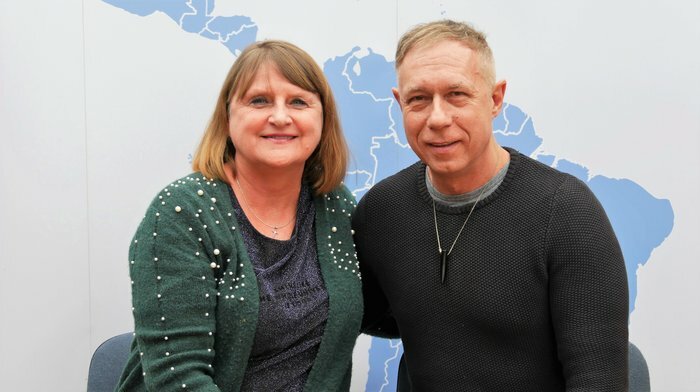 My dear, dear friends, Hein Hoere and Teija Tuulikki Hoere, Dutch and Finnish respectively, went to Colombia 30 years ago when it was far more dangerous than it seems now. They know what it is to have guns pointed at them, their lives threatened. I do too…. but Jesus said if we want to change the world we have to be willing to lose our lives….Please pray for Hein & Teija as they continue to minister in Colombia and move increasingly into Bolivia, too….and my great friend Thanney Pyper is in Colombia right now, and it’s our dream to be a small part of bringing the Kingdom of Heaven to earth there. We’ll both be there – hopefully with a team – in a couple of months’ time. 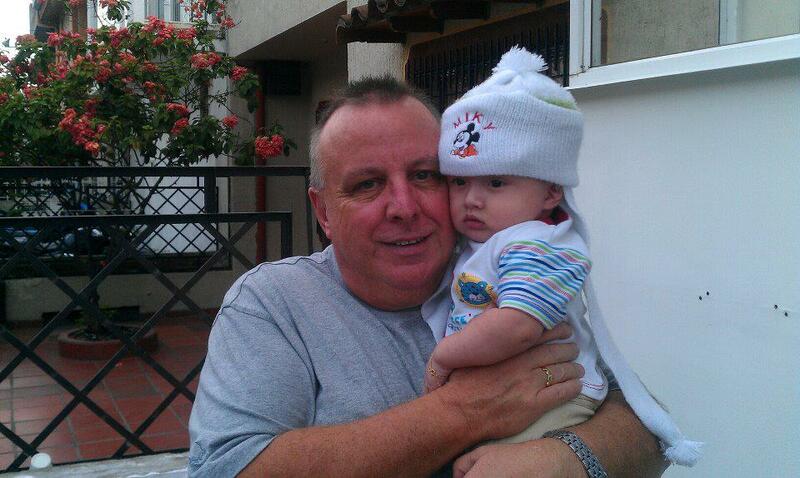 Read this report today of a lovely man by all accounts, Paul McAulay, a Catholic missionary in Peru running a hostel for indigenous people, murdered in Iquitos, Peru, by, it seems, some of the people he loved and cared for…. You’ll never lose by sacrificing your life, home, possessions, finance, family, comfort – you’ll gain the whole world, and the words of Father God, as you enter eternity – ‘Well done, good and faithful servant’. God bless the family of Paul McAulay, and God bless you, Hein and Teija – I’m honoured to call you my friends, and even more honoured to work alongside you, You’re heroes of the faith. ‘What do you mean, ‘What do you say to those who aren’t healed? We don’t understand the question, that situation never arises!’ A miracle in Bolney!! Saw ****** (haven’t asked if it’s ok to use her name!) last night – up until Sunday she had very poor vision in her left eye which was blurry and monochrome. When she woke up on Monday morning she opened her eye and could see in colour! She was very excited and expectant for more healing. Praise God. The eye with peripheral vision she can now see in colour with! She went for the checkup (at the hospital) on Tuesday but didn’t say how that had gone – she was so excited about being able to see colour again! God’s so good at this stuff, isn’t he?? Why do we doubt, or think he won’t use us or do it for us? Someone(!) once said ‘You’ll lay your hands on the sick and they will get well’ – the same person said ‘You’ll do the things I have been doing and greater things you’ll do because I’m going to the Father’. Wonder who that could have been, and if he was just teasing us…? 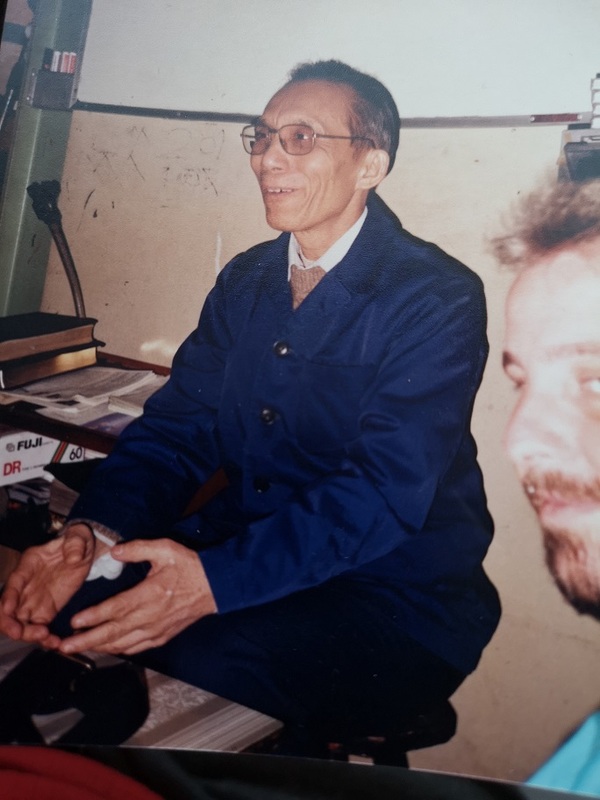 Samuel Lamb (Lin Xiangao in Cantonese, who sadly – for us – went to be with Jesus in 2013), who many will know of as I mention him a lot, and who – as the English speaker in a group of 5 pastors, answered my question to the five -‘What do you say to people who aren’t healed?’ with what I’ve used as the title of the blog. ‘That situation never arises – it’s not possible for God not to answer prayer, or keep his promises!’. It changed my life…. and changed my ‘theology’, my understanding of ‘no matter what promises God has made it is yes and amen in Christ Jesus’, and made me realise it was nothing to do with faith, it was to do with unbelief. I’d always believed – until then – that the ‘enemy’ of faith was fear. It isn’t. It’s unbelief. Unbelief cancels faith out – the wonderful (late, sadly) John Paul Jackson spoke about it: if you have a church of 100, and 50 have faith, and 50 have unbelief, then you have a church with nothing. Unbelief knocks faith on the head – that’s how powerful it is – but is that ever taught (unless by John Paul, or people like the Chinese)? Samuel Lamb (Lin Xiangao) with a bearded Englishman! I’m probably as excited for the lady in Bolney as she is for herself!! And it means that faith lives in that church in greater measure than unbelief does – so bless you, Simon, keep preaching the truth mate! 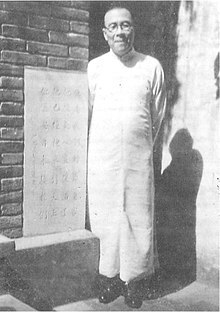 I’ll be eternally grateful to God that I had the chance to spend many days in China in the 1980s, and sit with Pastors like Samuel Lamb, Brother Yun, Wang Ming Dao (he passed away just a couple of years after meeting him – Wang Mingdao (July 25, 1900 – July 28, 1991) was an independent Chinese Protestant pastor and evangelist imprisoned for his faith by the Chinese government from 1955 until 1980. 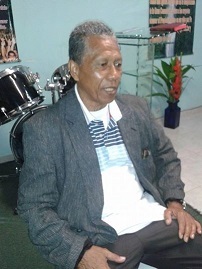 He has been called the “Dean of the House Churches – imprisoned for 25 years, Samuel was 22 years incarcerated). No wonder they saw miracles! They paid the price… Samuel had been given a big Bible by Billy Graham (I think) and often, when my ‘western unbelief’ surfaced – which it did often – he’d hold it right by my face (I thought at times he was going to clout me with it! ), and say, Paul. if it’s in here, it’s going to happen!’ – I’ve done my utmost to believe that and live that for the past 33 years since I met him. ‘We never have a prayer not answered – and we pray every day that God will bless the west with the precious gift of persecution!’. Perhaps a question that blew me away almost as much with its answer – ‘In your evangelism meetings, Samuel, you have on average 500 not-yet-Christians in your meeting and 500 belieers. How many not-yet-Christians would you expect to see saved on average each week?’. ‘On the night – 450, and the other 50 by Saturday’ was his matter-of-fact answer. I would have been delirious then, in the UK, to see 10%, perhaps more realistically 5% or even 1%. ‘What’s your problem?’ he asked me. My problem???!!!! 100% salvation, that was my problem! ‘Jesus said, “IF I be lifted up, I will draw ALL men to me”. That means ALL men – now what’s your problem?’. Life-changing days for a growing-in-faith yet still unbelieving English preacher…. I haven’t been persecuted like the Chinese pastors are: but certainly faced some extreme opposition and circumstances since then – mostly from ‘fellow saints’! THOSE MAGNIFICENT MEN IN THEIR FLYING…..MAZDA! One of the things about moving home is that you can find things you haven’t seen for a long time, things you’ve forgotten about, other things you’ll never forget but think have gone forever… last week a mass of photographs came to light, and reminded me why I love doing what I do, going where I go – even if it’s sometimes a bit stressful financially, and occasionally a bit hair-raising when certain things happen! Back in the mid-90s, my good friend Tim Herbert gave up his job and went as a missionary to Mozambique. It was a real privilege to go and visit him a few times, and get involved in what was then – maybe still is – one of the poorest countries in the world. Even better was going out into the remote areas of the Mozambiquan bush to speak in churches, pray for people, and be blessed by the love of the people, their hospitality, kindness, and their delight at having foreigners go to where foreigners don’t often go. Some amazing things happened in each visit – including, one night, going to bed in the pitch dark, getting into bed, and finding someone already in it! – a local homeless man, who was very welcome to stay there…..but not to share it with me! Sleeping in a hammock outside, on the verandah of the mission station where Tim was based, my first time ever in hammock (I wasn’t too good at getting in it, and then getting the mosquito net to cover every square inch of it as the mossies there are lethally malarial…. it turned out that my head was under a bat’s nest, and the bat droppings started to be delivered and strained through the mosquito net, dripping steadily onto my head! I changed ends (and not just at half-time!) as I didn’t want to find I’d slept with my mouth open… I leave you to work out the rest. We had a wonderfully spectacular car crash, too – I would emphasise that I wasn’t driving! – with two well-padded ladies and a slim Pastor in the back, jammed in (fortunately!) as Tim headed up a long hill with the sun right on the brow of the hill. I did point out that there was a man standing in the middle of the road, next to his bicycle, and we were doing about 80 kilometres an hour (50 mph). We assumed he’d move. He didn’t. At the last minute, Tim jammed on the brakes and swerved – it was then we realised he’d been obscuring a very large pothole, which we hit broadside as the car swerved. We took off – literally. We ‘rolled’ over one and a half times in the air, landed on the roof, skidded, went back onto the wheels and finally stopped about 400 metres from where we’d begun to orbit! The car had been rented from a ‘well-known’ car hire company in Mutare, Zimbabwe, I knew the lady who rented it to us as I’d hired from her before, and assured her that taking a brand new Mazda 323 (3 miles on the odometer I think) into Mozambique wouldn’t present any problems for the car…. The noise from our passengers was full of shouted and screamed prayers from the ladies, the Pastor remained quite calm. 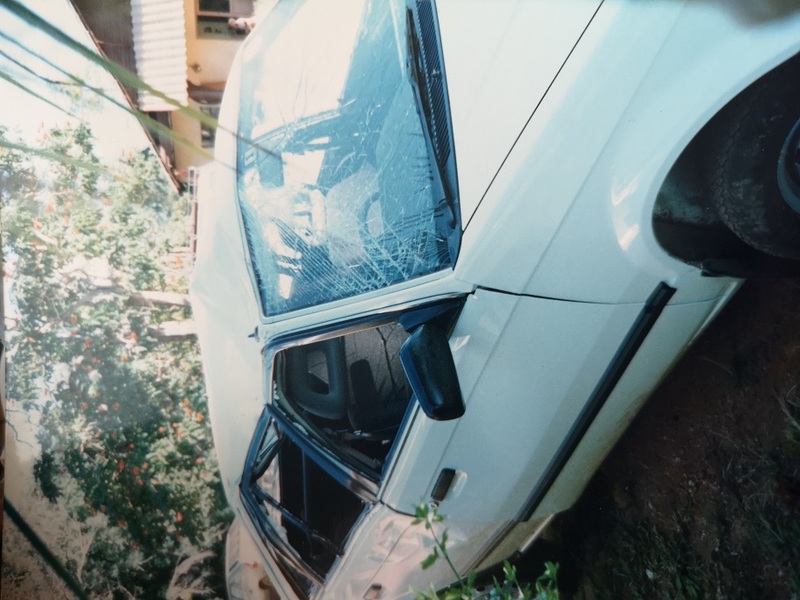 As the roof had caved in somewhat, and the car had changed shape, so it was extremely difficult to get the doors open – miraculously, no one was hurt apart from one lady in the back – I think her name was Beatrice – who’d bitten her lip as she screamed, and a small cut on the Pastor’s head! When we finally got out, dozens of locals had ‘materialised’ out of the bush, watching these two white blokes begin to go and remonstrate with the cyclist. He wasn’t there. According the crowd, there’d never been a man with a bike – was it a demonic apparition to try and kill us? We’ll never know. 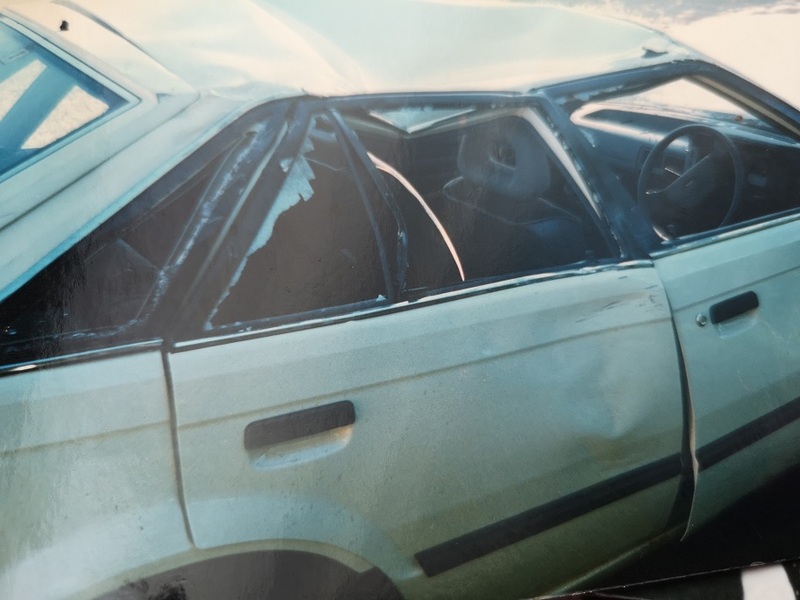 All four wheels were pointing in different directions, the windows were ‘rather’ damaged, the roof caved in…but we had to drive it back to the mission as if we’d left it, it would have been ‘stripped’ of everything in minutes! So we went home like a crab – sort of sideways going forward! We had to pass four police checkpoints, and prayed that they’d be distracted as we went past, as we’d have been prosecuted because the car was somewhat unroadworthy! Next day, I called Stella, at the car hire location, and said we had a slight problem as the car wasn’t driving quite as it should! I told her it didn’t fly quite as we’d expected, and that the roof, and much of the car, wasn’t quite the same shape! Bless her, she laughed, told me they’d send in a low-loader to take it away and bring another car to us! We did thank God for his protection, but it was one of the best roller-coaster rides we’d ever had! 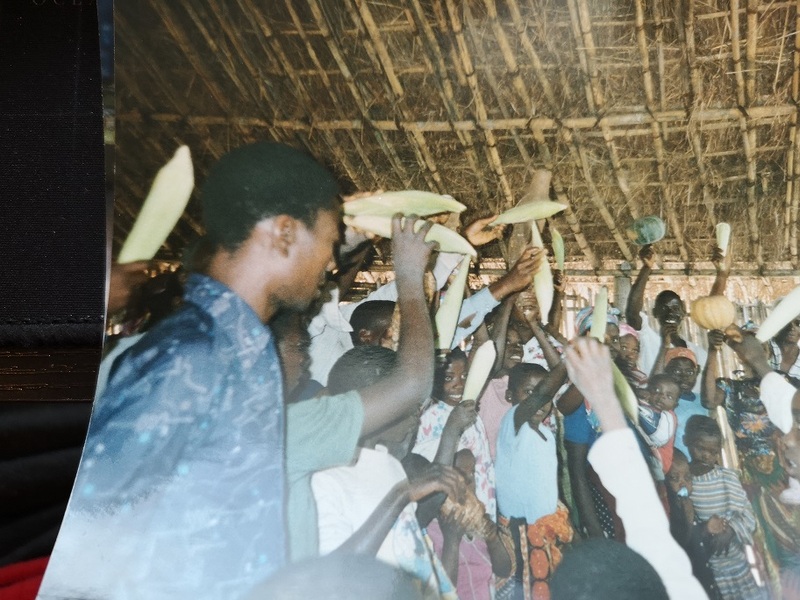 One of the great delights is going to the churches made out of bamboo, sugar cane leaf rooves, and being blessed as people were saved and healed, with some set free from the ever-present influence of the witch doctors and voodoo. What is so humbling is the hospitality in the poverty these wonderful people live in. Vast quantities of sadza (nshima in other counties0 – a ‘pudding’ of thickened porridge made out of any number of pulverized grains. The most common form of sadza is made with white maize (corn) mealie meal, with some form of stew – mostly liquid – and sadza is so hot, but you dig into a mountain of it with your fingers, and roll it in your hands before you eat it…. In the churches, they want to give you an offering: but they have no money. 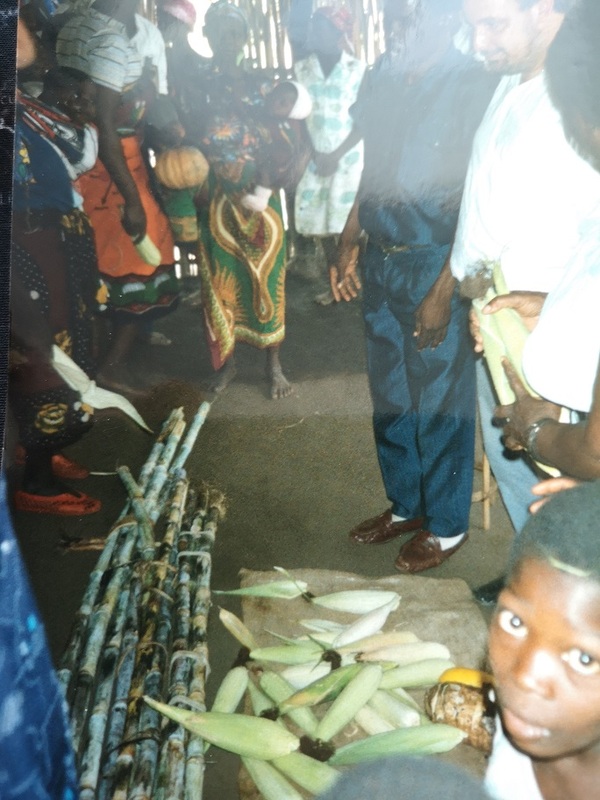 So the offering is frequently sugar cane, maize cobs, tomatoes….anything they can grow. Men fall in love for many reasons, I’m sure you don’t need me to tell you that! And women too, of course!! Something I really struggle with is when I talk to some people about certain countries, and the traumas, problems, tragedies and so on, many of which breed corruption, that those countries have – and still do – experience, that they seem to know more about the country, having never been there, than someone who’s been there many times. I’ve recently experienced a terrible tragedy in a country that was so tragic when I first went there, so corrupt, it was unreal that Romania was actually in EUROPE – not a poverty-stricken continent the other side of the world. And this isn’t ‘Scrooge’ era: it’s less than 30 years ago, in the adult lifetime of many of us. The tragedy I’ve experienced recently is STILL all to do with poverty – poverty caused by corruption. I won’t mention any names, but I got to know a family many years back in the north of Romania (the area is a country/state – Moldova) – their daughter, 25 years old, I knew all her life, and tragically, due to poverty (I was unable to help, which I had done as and I when I could) she was evicted in from her flat in November. Her only alternative was to sleep rough (both parents had died) – shop doorways in late December/early January in Romania are freezing places (-15C in January, as low as -25C at times in February). From 1993, when she was born, she was like a ‘surrogate’ daughter, who, without help because of her medical conditions, couldn’t work, let alone complete her University studies. Like so many countries I’ve been to/go to, you can only get medical help if you pay ‘up front’. If you can’t pay, you suffer – or die. I last heard from her in January – in hospital suffering from frostbite: and then what I dreaded to hear – silence. About 3 weeks ago, I heard from two sources she had died with hypothermia. Like with the (different sort of) loss of my own children, I am heartbroken. She’ll have had no funeral: doubtless picked up by the police or garbage men and thrown onto a waste tip. Why? Because corruption and life sentenced her to it. She gave her life to Jesus over weeks – months – of What’sApp conversations with me: I’m praying that, if she’s dead (and I actually have no way of knowing definitely, or finding out – she was a ‘street’ person- she died still knowing him and believing him, and trusting in him, despite the desperate, freezing straits she found herself in. She wasn’t an unusual case: street sleeping is endemic in Romania, of course a country a full member of the EU since 2011 (and part member since 2007) receiving massive grants from the EU, much of it going straight into businessmen’s and politicians pockets. People told me it couldn’t happen – it DIDN’T happen in Romania, it was ok now it was in the EU. People who I asked, ‘How many times have you been there in the past few years?’ – none: ‘how many times did you go after the revolution?’ – none: ‘how many times before the revolution?’ – none. Yet they know all about Romania, this isn’t a boast, just a fact, but I’ve been there 129 times, know it pretty well. Today, I had a delivery driver from Amazon call. I recognised his accent – but rather than just ‘assuming’ he was Romanian, asked him where he was from. ‘Romania’, he replied, ‘about 90% of Amazon’s drivers are from Romania’ he told me. No money there. Poverty. Corruption. He came from Cluj, too – one of the loveliest cities in the country: I’ve been there many times – University city, and a massive student population. 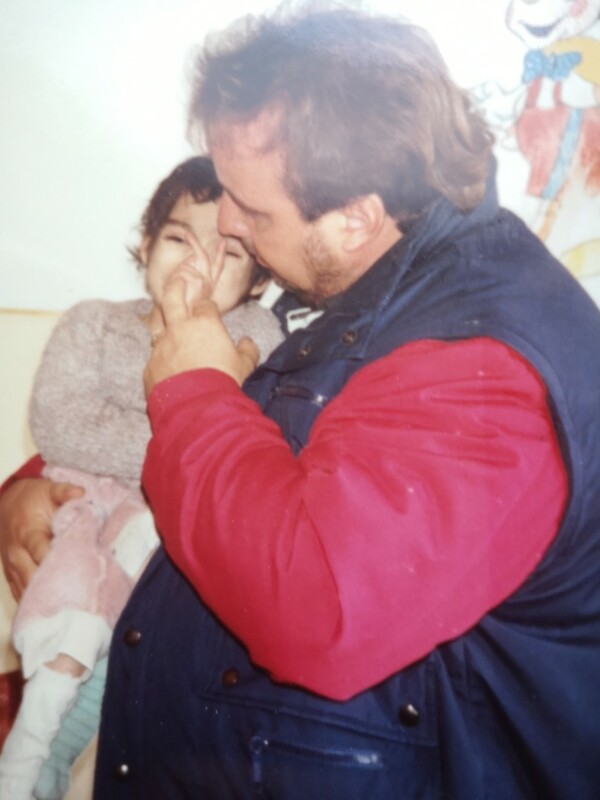 I told him I loved his country, but quite understood why he had to leave, and was he delighted we had a ‘connection’ – Cluj, and his son’s name is Paul. It was over Christmas – in fact from 16th December into the new year – 1989/90, that Romania suffered its terrible revolution. Thousands perished – but small fry compared to the number who’ve died from poverty despite being in the wonderful EU – it seems to me to have no ‘follow up’ on where their grants go :(. I spent Christmas in tears in 1989, and wept when cameras went in for the first time from ‘outside’ and into the orphanages. Romania before the revolution had ‘scared’ me, I’ll be honest – the Securitate, the most brutal and vicious of all the Eastern European police forces, followed you everywhere with their long black coats, their black hats, and cameras with long zoom lenses. But as I watched on TV Christmas 1989,I knew I had to go back: God got a hold of my spirit and my emotions as I wept, and within about 4 weeks, was there with a 38 ton, 17 ton, 13 ton, and 3 7.5 ton trucks (you could – maybe still can – drive one of those on a car licence, and I had to drive and take whatever we could collect. The trucks were rammed with goods – about 90 tons in the 6 trucks. Within a day or two, I knew I had to go to an orphanage, yet everything in me screamed not to, as I dreaded what I was going to see. Room after room, cots end to end, side to side, filling every centimetre of the rooms, ‘normal’ size cots but with 4 children in each, sitting in excrement and urine. 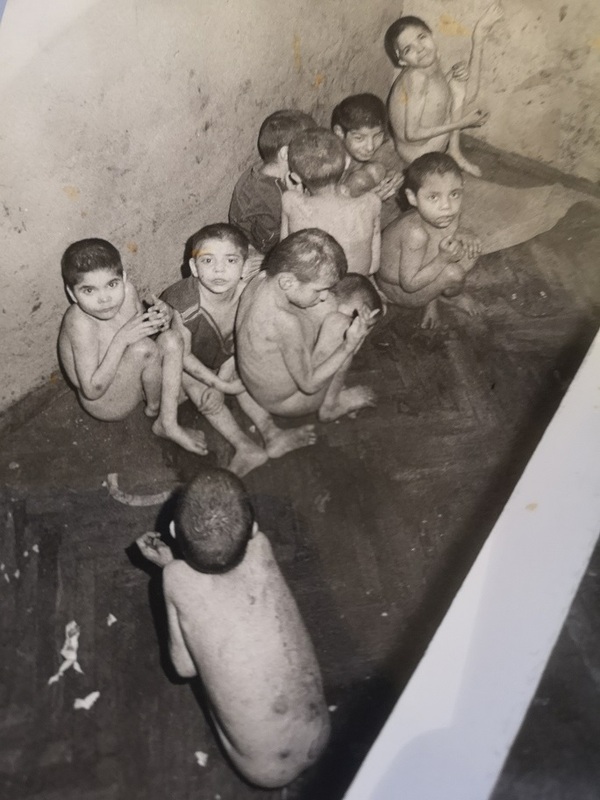 Concrete ‘pens’ where the most disabled were kept, 24/7, naked, covered in excrement and urine, naked, in – that day – temperatures of -30C, and they were hosed down once every now and again with ice cold water. no legs, no hands, immovable arms, a missing eye, and blind in the other eye. I asked through a translator, of one the ‘workers’, what his name was, how old – no name, no idea how old: I asked what had happened to him to make him the way he was. 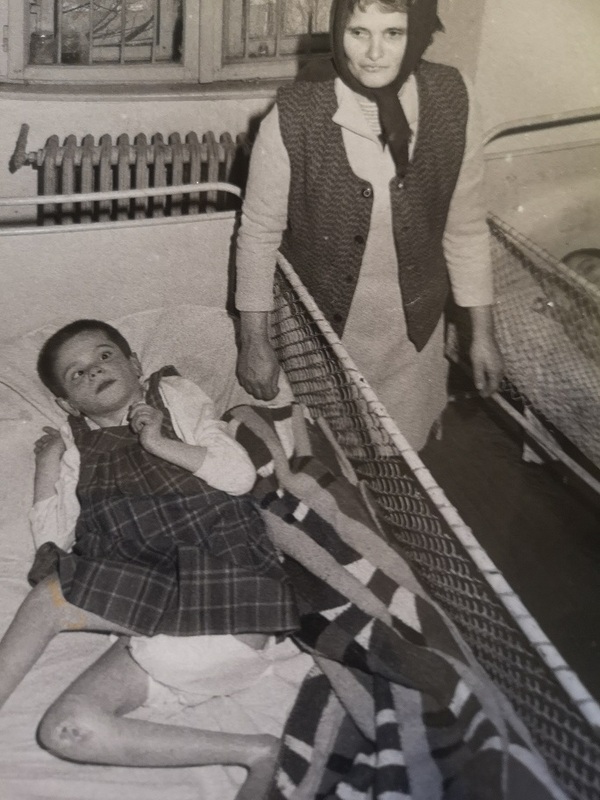 ‘His mother tried to abort him with a knitting needle, severed his legs, wrecked his arms and hands, and removed an eye….. ‘how often do you pick them up and hug them?’ I asked. ‘What? Why? Never,’ came the reply. So I did, hugged him – and he laughed. I exploded with tears I didn’t know I could produce – and I fell in love with a country that to many is so corrupt they won’t go there, to others – who’ve never been but ‘know it well’ and a country still despised by many. I was covered in s**t and urine but I didn’t care – he needed loving. As do many in that sad, sad country. I took my whole family there many times over those early years – and my kids – who I adore even though I haven’t seen them in a very long time – loved playing with the Romanian kids. It really blessed me to see it. 128 visits later, and I still love the country, but hate it because it can kill a lovely 25 year old girl, amongst thousands over the years. Don’t believe the cots were end to end, side to side? Prefer to think it was all ok once Ceausescu went on Christmas Day 1989? Or did he? This is the physically handicapped ‘pen’ – IN EUROPE – just 1500 miles/2200 kms from the UK. Look at the poor boy on the far right…. his left leg is pointing vertically upwards. Did he have a future? 29 years on, is he alive? All of them covered in excrement waiting for the next ice cold ‘hose-down’. Yes, Romania changed ‘cosmetically, in parts, to get into the EU: but for the rural areas, nothing much has changed, in fact it’s got worse, as salaries don’t increase, and everything is priced against the Euro, so many things are unobtainable. Why do men fall in love? How? With the girl of your dreams, it’s easy. With a nation – and images like these – it’s not love you can generate, but love that, I believe, only God can give if we’re willing to receive it. 29 years on, I’m sitting here in tears, at 2 am, crying my eyes out over a country I love dearly, and over a young woman who I loved like a daughter who it seems is now dead. Can we do anything? Yes, we can. We can ask God for his love, compassion, freedom from the fear of ‘catching diseases’ (many people won’t go to some countries I’ve asked them to go to with me in case they catch something). ‘If any man wants to save his life, he’ll lose it: but whoever is willing to lose his life for my sake, he will find it’. Jesus said it – 5 times in 4 gospels. What makes you fall in love? 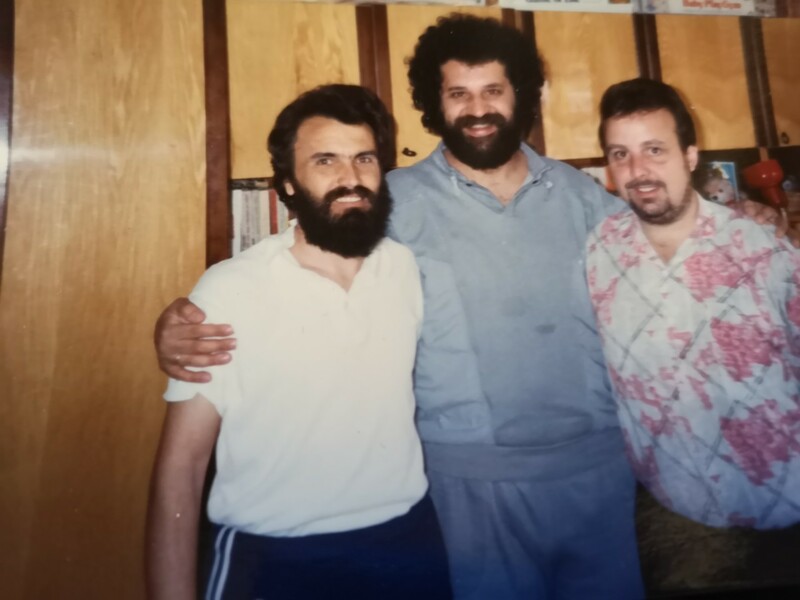 Jesus’ love does – and wonderful men like these, below – Jan (left), Marius ‘just call me Geoff Capes’ (centre) – men who gave weeks and weeks taking me to places I’d never have got to, men who love people, men – who elsewhere – could have earned a fortune as both are so highly educated. Jan is a highly qualified engineer: Marius was my ‘mouth’ – perhaps to this day the best translator I have ever had anywhere, fluent 17 languages, 4 ‘I can get by in’, and Greek and Hebrew. 5 University degrees: can play just about any musical instrument under the sun (and did, for the Romanian Philharmonic Orchestra for many, many years). 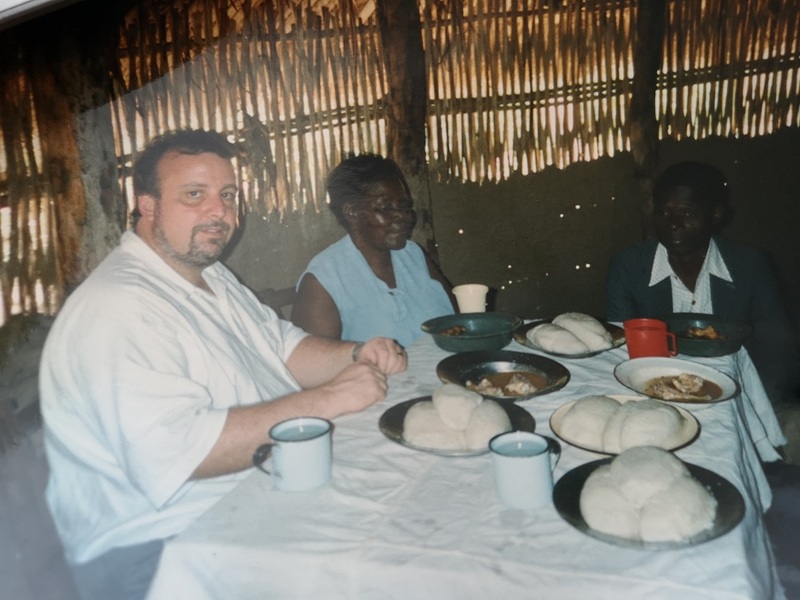 We had such fun together (meatballs and beer from a roadside stall was often our only meal), they were a blast – and such tears together – and saw God do some wonderful things. I’m eternally grateful to them. Do we just ignore these things as though they never happened Worse still, that they still ARE happening? For God’s sake, for Jesus’s sake – NO! For the sake of the Kingdom? NO! This isn’t some far-flung country (though it does seem to have similar despotic leaders – though the President, which is really a ‘name-only’ title, is, I undertand a Lutheran Christian (Klaus Iohannis). It’s the Prime Minister who really runs the country, and the previous incumbents have been not the most honest (choosing words carefully!). There are some great churches in Romania – even better perhaps under the persecution of the evil President Ceaucescu, as churches thrive under persecution (maybe we do as Christians, too) – and need our help, they need encouragement, love, grace, finance, and so much more. I remember saying to a group of five pastors in Guanzhou, China – what will it take for the church in the west to see happen what God is doing in revival power here in China? Their answer was unanimous, having just answered another of my questions with ‘We never have a prayer not answered’ – ‘they said, ‘We pray every day for the precious gift of persecution for the western churches’…. Is God asking you to go and love Romania? Or somewhere else humanly unlovely to us with a western mindset? I do want to add that this has nothing at all to do with me falling in love other than with the poor, desperate, people unable to help themselves, in nations that make even the poorest here look rich – if only because of the National Health Service…. Over the years, as I’ve travelled to different places, it’s been a real privilege to pray for – and get to know – lots of children and see either their faith, or the faith (and sometimes desperation!) of their parents, cause a miracle, healing, or transformation in their lives. I love to pray for children as they don’t have any ‘theological’ hangups (!) and Jesus talked about having faith like children being crucial in our lives. One of the things that got me going to Romania was watching the bloody revolution unfold on television from December 16-25, 1989, seeing women and children killed on the streets, then when the ‘outside world’ was allowed in (Ceausescu, the President had never allowed outside media in, and it was hard to get in even as a visitor), seeing the orphanages just brought me to tears. I spent a lot of time crying that Christmas and New Year. 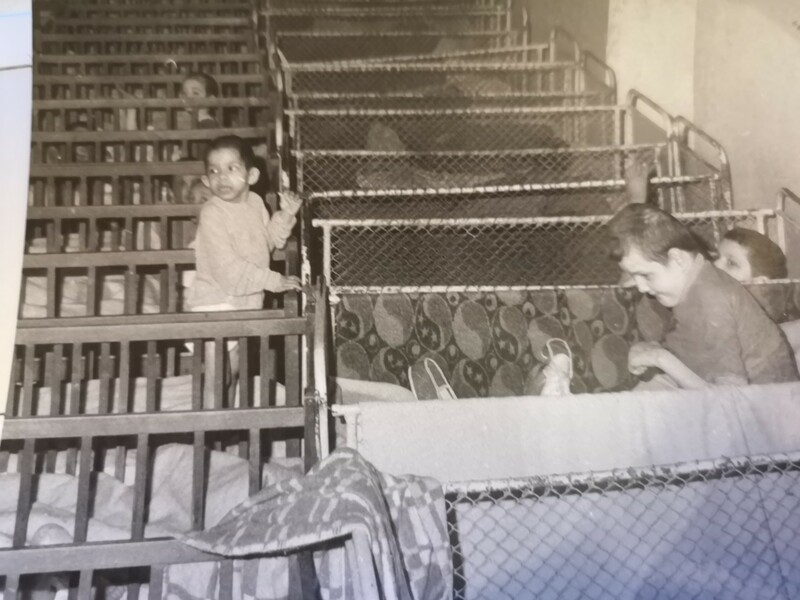 Having (then) been in a church where Ishmael – who’s ministry to children is almost legendary, I wanted so much to visit the orphanages – and found pretty quickly that it absolutely wrecked me. One little boy, perhaps a year old, in an orphanage near – I think – Tirgu Murês – just finished me off: standing (if you can imagine that as he had no legs or arms) in a filthy normal-sized cot which he shared with three other children, urine, and faeces, he had no eyes – just bulges where his eyes should have been – no name (I asked the one lady worker there, ‘looking after’ about 60 kids, what his name was: her answer was ‘No name, why should we name him?’). I picked him up and held him for ages, got covered in what he and the other kids had ‘deposited’, and he laughed…..maybe for the first time in his life as he was hugged…. Since then, I’ve been determined to see kids blessed and healed, and pray over them that the Holy Spirit will fill them, cause them to know him, heal them…. one of the most precious stories is of Daniella – a young lady, not a child who, when she was 13, was up for healing at her church in Cali, standing in front of me before I’d finished speaking (I guess a lot of people would like me to finish sooner!!!) – and was clearly in the middle of a terrible asthma attack. I stopped speaking, told her not to try and talk as I could see what was wrong, prayed for her immediately – and the attack stopped. I heard myself say to her that it would be the last asthma attack she’d ever have (I had to believe it was God speaking through me as I certainly hadn’t processed it!). She also had very thick-lensed glasses, with a hereditary disease that meant she’d be blind by 20 years old. Prayed for her eyes, and she could see perfectly, and never wore her glasses again. She also had severe flat feet (I know what’s like as my knees have caused my feet to flatten) – and as she took off her shoes we watched God ‘grow’ new arches for her! Next time I was at the church, I invited people for prayer for healing, and said publicly that Daniella and I would be praying for them…. she looked terrified! The first person for prayer was a young mum with a year old son, with……chronically flat feet! I told Daniella ‘This one’s yours!’ – and as mum took her son’s shoes off as Daniella prayed, we watched God grow him arches in his feet…. next was Daniella’s mum, for the eye disease, and as her daughter prayed, her sight was totally restored! 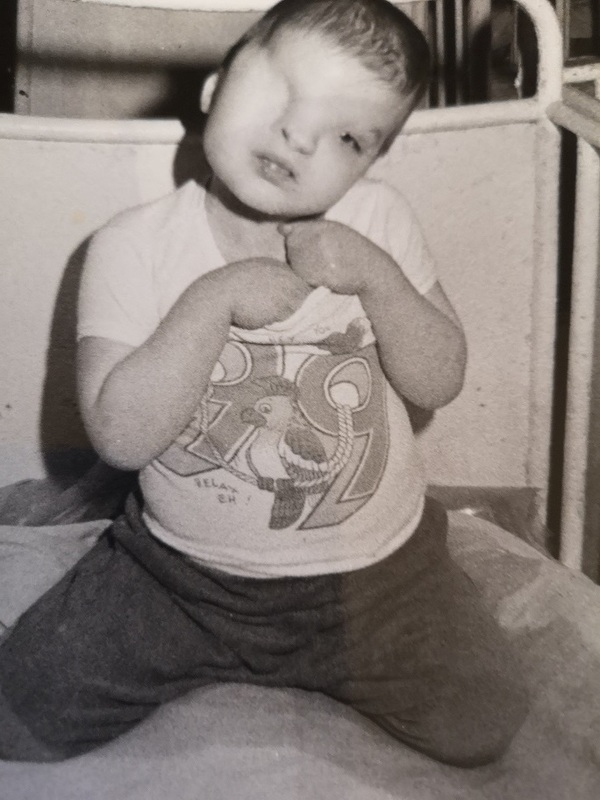 But it goes back years – and I’ve put a few pictures here of kids I’ve had the privilege of seeing God do miracles for one way or another…..and just (hopefully!) a brief testimony of what God did. This is Denis, from Romania – you’ll notice the tape across where his nose should be: he was found at 3 weeks old in a shoebox in a field, and rats had eaten off his nose, yet somehow he’d survived. 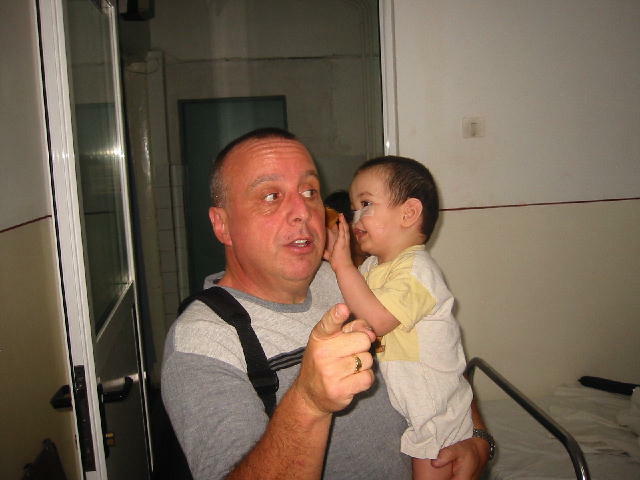 God told me to raise the money for him to have prosthetic noses three times over the twelve years following this picture being taken, found a lovely plastic surgeon in Bucharest who charged a hugely reduced price to begin the first surgery. I kept in touch with Denis’s carers for a time, but 30 years is a long time in the past…! 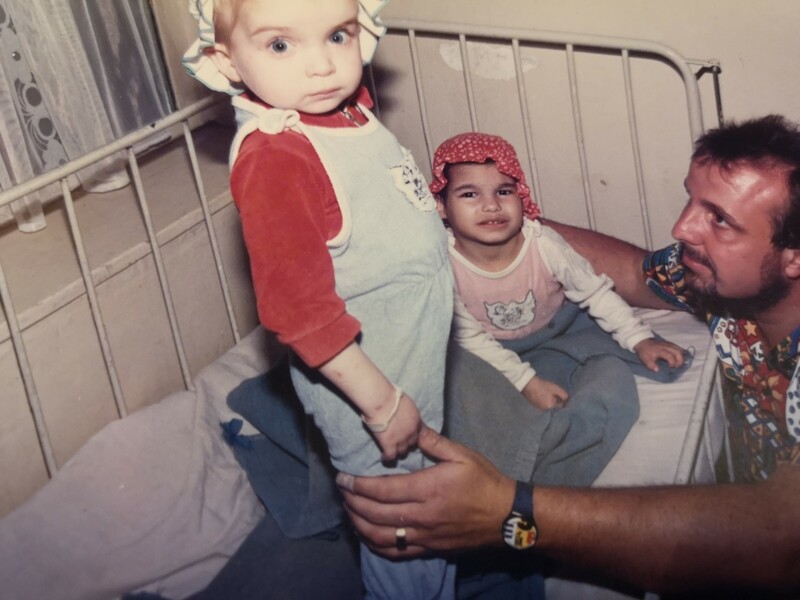 This gorgeous little boy on the right was in the ‘terminal’ isolation wing of the kids hospital in Cali, Colombia, with AIDS, TB, and Hepatitis C, and a prognosis of maximum 3 days to live. He had no name, having been dumped by his mother due to his conditions, so I called him David…. he was healed and had gone to live with someone from the hospital. And no, I didn’t catch AIDS, TB, or HepC! 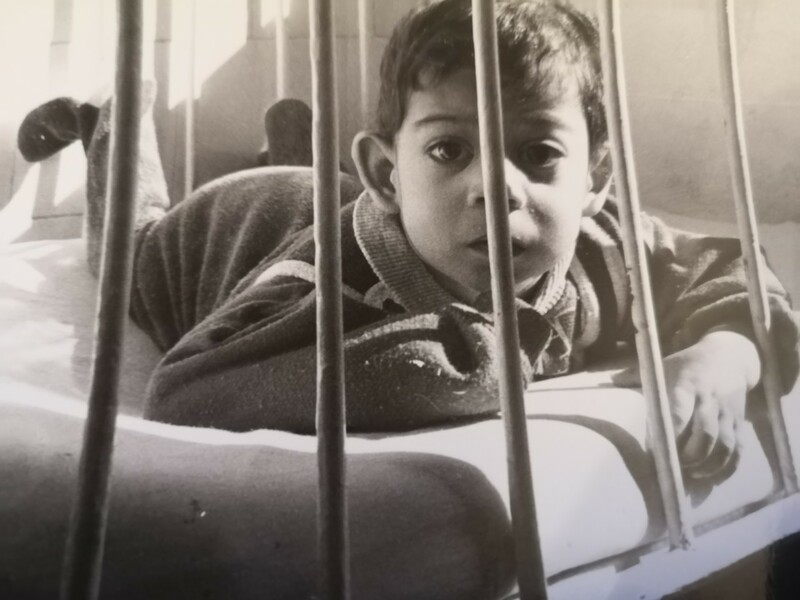 Jose Luis I’ve written about in the past: met his dad (without Jose Luis) in the waiting area of the children’s hospital in Cali, who told me his son had been born with no fontanelles or sutures in his skull, so nowhere for his brain to grow…. with a short life expectancy, according to another brain surgeon. 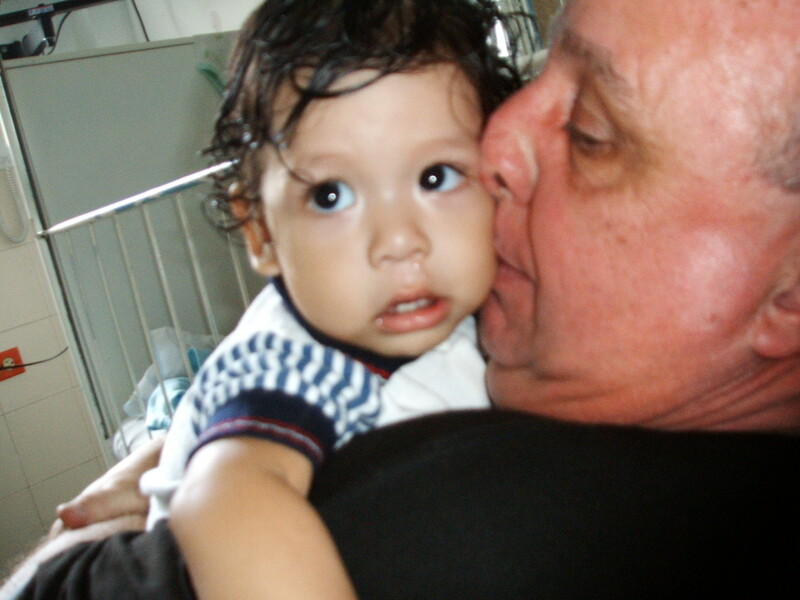 Prayed for Jose Luis (that’s dad’s name too), and then he went in for his appointment with the brain surgeon, Dunia. Dunia rang me about 3 hours later: she’d got dad to bring Junior for a scan (she was a ‘second opinion’ consultant) – and the scan showed fontanelles and sutures exactly where they should be, God had done an extraordinary miracle in his head in those hours! And below is Jose Luis 5 years later…. last year – perfect, whole, bright, intelligent, and with an amazing future. Mum and dad both gave their lives to the Lord when he was healed, which of course is the greatest miracle of all…..
No, nobody’s grown an extra leg, or anything quite so exciting as being raised from the dead, but- BUT – for much of my life I’ve battled with something obvious to everyone who knows me,,, WEIGHT! Over the years I’ve tried every sort of diet imaginable – from, in the 80’s, the ‘F’ plan (Fibre Diet) – in 6 weeks I put ON a pound (0.5 kg) 🙁 : Then I tried the Cambridge Diet, that awful ‘drinks only’ thing, where I lost 56 pounds (25 kg) in 4 months, As soon as I stopped the diet, I put on 70 pounds (31 kg) back on in ultra-quick time, not because I ate a lot, I just ate…. even when I’ve fasted – and I’ve done a few, some 40 day fasts: a friend and I used to fast together (fasting IS Biblical so it’s not aimed at losing weight) but my friend would lose 15 kg, and I’d put on a couple…. Then, as regular blog readers know, last year was an unusual year for me in that I couldn’t walk really for 10 months, often not even to the kitchen room my living room. I honestly thought that no activity and sitting down extensively (like 90% of the day apart from the odd foray out to preach if I had help, or to the doctors or the pharmacy – living the high life, huh??!!) I’d put on masses of weight. But as I couldn’t get to the kitchen much, I didn’t eat – unless my lovely ex-next door neighbours, John & Lisa, in Bangor, Northern Ireland, cooked Sunday lunch for me (which they did most Sundays). My stomach must have shrunk drastically, as I can’t eat much now even though I can walk again…. ….and here’s the big confession (might not surprise some of you!) I was in 44-inch waist (112 cms) trousers…. when I moved into my new flat, when my scales appeared from under Vesuvius (my second bedroom eruption) I thought they were wrong, so courtesy of Amazon I bought some new ones…. and realised I needed 42….then 40….then 38….. and now 36 inch (91 cm) waist trousers. And I’ve lost 6 stones in weight (38 kilos)! I can’t remember a time when I was on 36/91 waist trousers! And today in shifting the mountain, I found my suit (yes, I DO have a suit – 2 in fact, and a blazer I haven’t been able to wear for years!) – and they’re sort of too big for me, but I can get away with it!! But I’m heading for 34 inch trousers…. (86 cms), and no longer 3 or 4 XL shirts – just 2XL or even XL depending on where I buy them and what brand they are! So thank you, God!! That’s a great help to my knees in the long term….and God IS in the process of healing them, as I can walk where I couldn’t last year. So if you want to follow my ‘diet’, go and see an orthopaedic consultant and get him to wreck at least one leg so you can’t walk, and after 10 months get someone to pray for you….!!!! and this is the church! Onslaught and spiritual attack, for starters! After a great couple of weeks ministry, during these weeks the enemy hasn’t liked what’s been going on, and I – and people who’ve been in meetings with me – have come under fire…. I’ve not been ill, but felt like I’d been hit by a train, with the focus being these good old knees, double vision, and dizziness! That’s sort of been the story for others, too…. in less than 3 weeks, I’m due to fly to Cali, Colombia – but it’s dependent on funding coming for a massive building project that my great friend Thanney will begin to undertake, and a few other folk going too. BUT if the funding is delayed, we’ll delay the trip until it’s here as the trip involves a lot of immediate expense to demolish a house we first saw 2 years ago, we were told we would never get it – and then last July we were told we could have it – rent free for 100 years! So God has begun the miracle, the next phase is knowing that we have the (probable) £300,000 that constructing a four-storey house in a desperately poor barrio of Cali, primarily for a home for in-danger from the cartels street kids….the ground floor will be for a church – much needed in that area: the second floor a day/play/classroom for the kids and in the evenings for community events like parties, wedding receptions etc., and the top two floors exclusively for kids – we believe it’ll hold maybe 300 residentially! Our biggest, most exciting project ever – in all the years I’ve been involved in building projects (late 1980’s in West Africa is where it began!) it’s a huge challenge and will be such a massive blessing to the community. So the assault I’ve been under probably embraces the enemy’s opposition to that, too…. but I won’t give up, and pain or no pain, I’ll be there. We’ll go a few weeks later if the funding doesn’t arrive in the next week, as I need to let the folk in Cali know whether we are or aren’t going to be there! And arrange accommodation, flights etc! 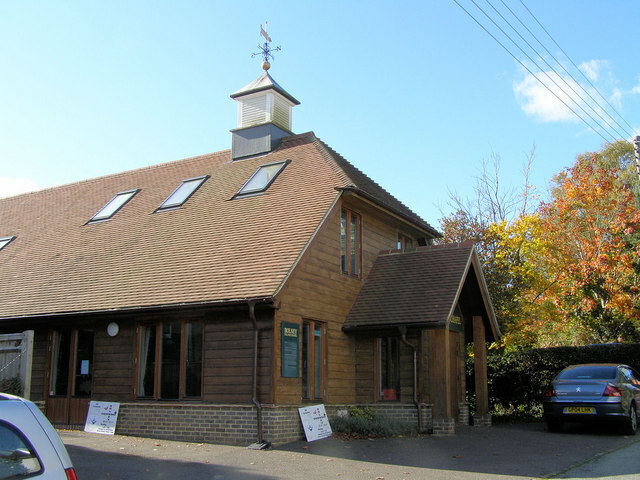 Next Sunday evening, I’m involved in a meeting at my great friend Simon Allaby’s church (6.30 pm) – Bolney Village Chapel, West Sussex – close to Crawley/Haywards Heath, and just off the M23. It’s going to be a meeting of impartation and activation of the Holy Spirit for people who want to move into the supernatural…. There are possibilities for Zimbabwe, Australia, Sweden, and other places in the UK, which I’ll give more info on in a later post! So your prayers for protection and God’s supernatural power for me and those going with me would be very much coveted!